I had the pleasure of spending the morning of the 20th October with the Snowy Owls class at Dry Sandford Primary School. We started the morning off with a presentation covering a range of topics including what is archaeology, what we can learn from different artefacts as well as gaining an appreciation of what was found during the excavations at Marcham and what happens to all the information and artefacts after a dig has finished. 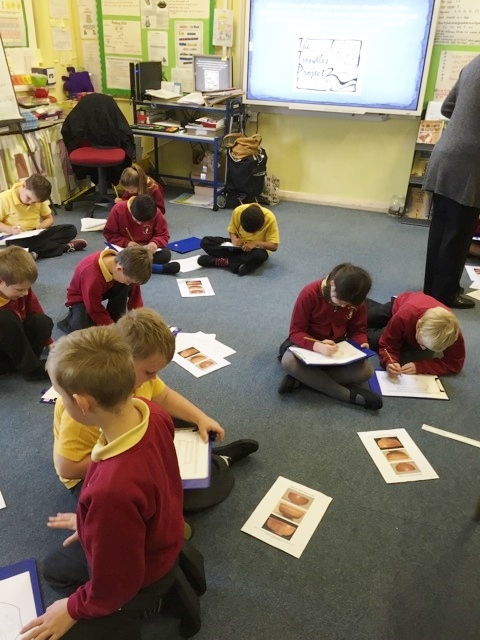 The pupils worked together in small groups to match up pictures and descriptions of Roman artefacts found during the excavations. 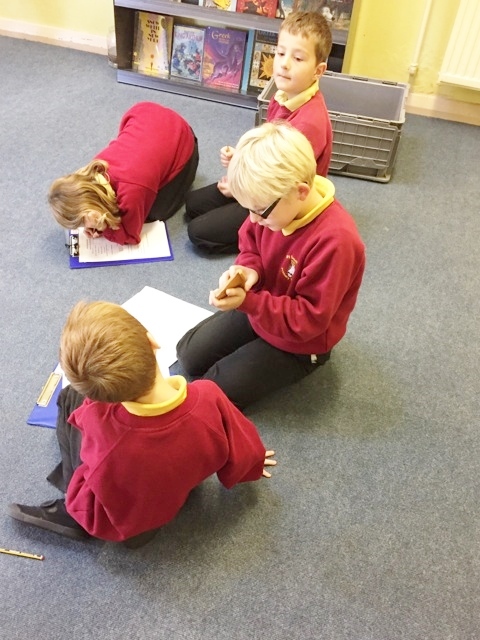 There were some clues included in the descriptions which the ‘archaeological detectives’ were clever enough to spot to help them with some of the more mysterious objects. Another activity was designed to get the creative juices flowing. 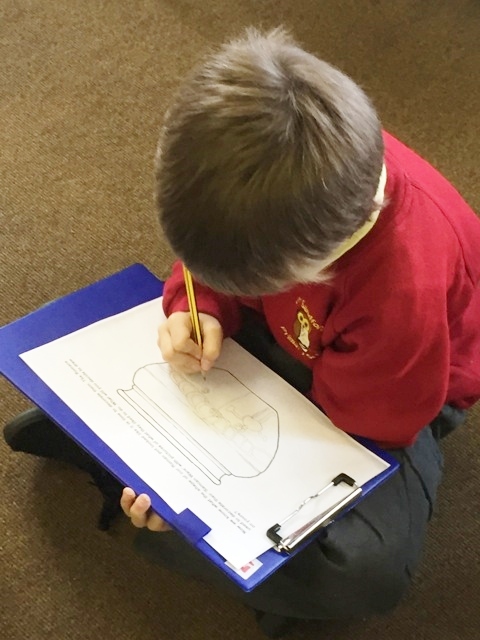 The children were asked to design their own Samian pot. They used their own knowledge from previous lessons as well as what they learnt from the introductory talk to think what activities and patterns/decorations the Romans liked and based their designs on these ideas. Everyone worked very hard and managed to produce some beautiful pictures. Extra activities were left for the Snowy Owls to finish in later lessons to add to their history folder. It was also nice to hear that a display of all the work that children produced this morning will be put up in the school. The pupils were an absolute credit to their school. 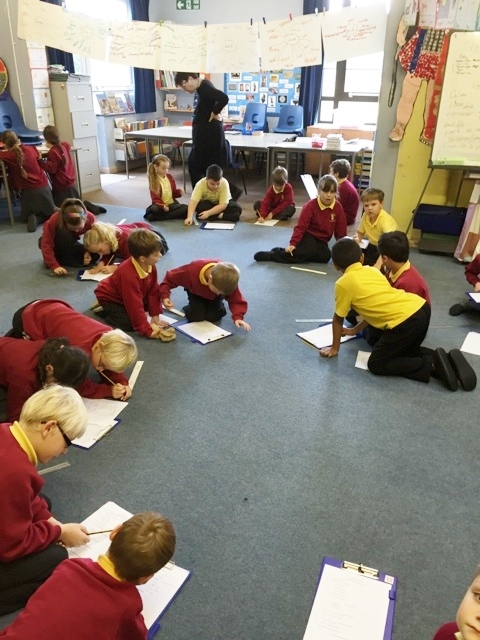 They listened and interacted well and were very good at asking and answering questions. Thank you so much for welcoming me into your classroom Snowy Owls!